I received this novel as a gift just last week from the lovely Denise D. Cooper. I couldn’t wait to read it. Firstly it’s such a cute little book and beautifully published. That’s something that is very important to me about my books. I know that may sound shallow but at this point in publishing only beautifully edited books seem to get noticed. That’s a fact and in some cases it doesn’t even matter if what’s between the covers is good or not. I’ve noticed publishers often sheer lack of interest in making novels by African-American authors attractive. They are often downright unappealing! This has to change. So I’m secretly militating for pleasing to the eye covers for African-American authors and will always point out when this is the case. So, you’re probably wondering what the name of this book is. 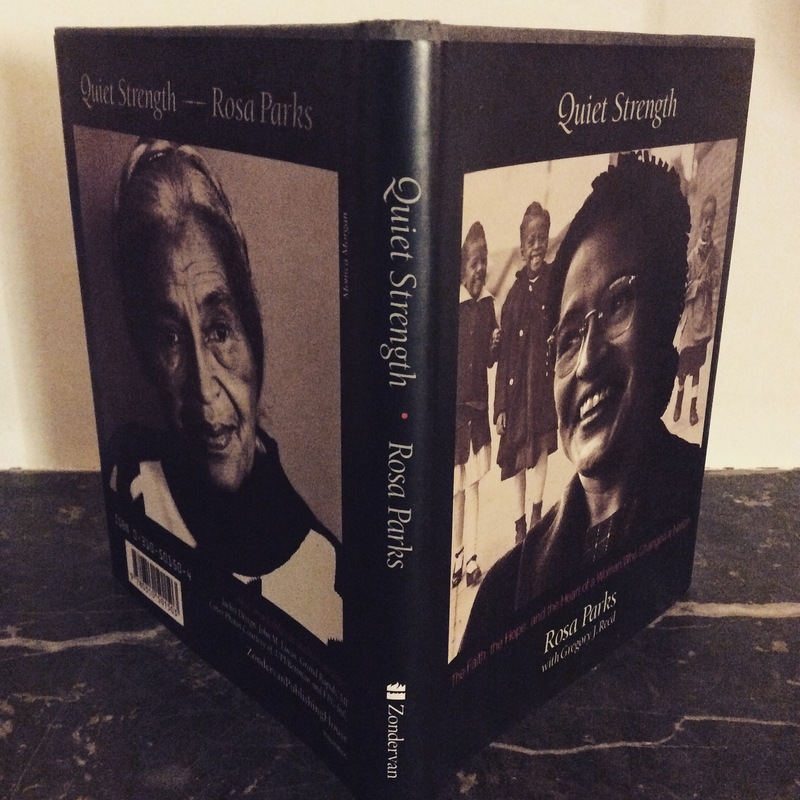 It’s called Quiet Strength: The Faith, the Hope, and the Heart of a woman Who Changed a Nation by Rosa Parks and Gregory J. Reed. While reading this little book which details the thoughts, feelings, actions of Rosa Parks, I wondered if I would or could have been as strong she and others who sacrificed, boycotted, marched, and persevered for Civil Rights. The hardship of fighting back was the first step to refusing inequality and making a significant change for African-Americans. What people can do when they put the collectivity in motion! This novella is separated into twelve sections and delves deep into the realities of living and trying to survive for African-Americans through segregation. Each section begins with a quote from the Bible that describes the meaning of the section, with a picture of Rosa Parks during another important part of her life. It also puts rest to a lot of the supposed truths around what Rosa Parks was thinking and how she felt. This is a book worth picking up.